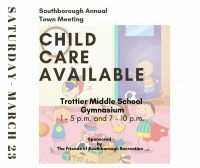 Southborough Recreation is seeking babysitters for the Annual Town Meeting next week. They already have volunteers lined up to run the afternoon shift. * They need more helpers during the 7:00 – 10:00 pm shift this Saturday, March 23. The move to a Town Meeting weekend schedule was to accommodate families who don’t want to drag their kids out on a weeknight. This year’s Warrant pretty much ensures that the meeting will continue into the night shift. But hopefully, parents will be willing to take their kids out for some fun at the school on a Saturday night. 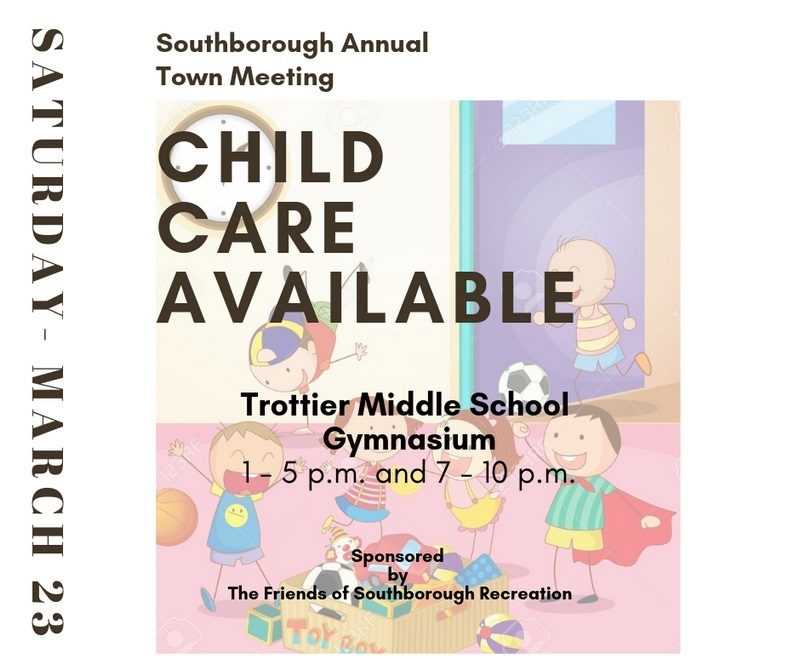 Babysitting will take place in the Trottier Middle School cafeteria (with some activities possibly in the gym). The evening shift will consist of gym games and/or a movie screening, plus some cleanup and free play at the end. Anyone interested in helping should contact Doreen Ferguson at the Recreation Office (508-229-4452 or dferguson@southboroughma.com).